Slot size (mm):0.10,0.15,0.2,0.25,0.30-3,also achieved upon customer request. - standard spacing between the support rods of: 25, 50, 75, 100 up to 300mm and more. Slot opening can be very micron to 0, 03 mm. Wire Wrap Screen provide a unique combination of the most important features required for maximum screening efficien-cy. The product is custom designed to suit the specific requirements of the customer and to enable a relatively low cost and high performance solution for the screening application. The high open area of the Wedge Wire screen provides excellent capacity. Wedge Wire screen offers continuous slot openings that widen inwardly so that particles tend to pass through the screen. Length 2.9 meters,3 meters,5.8 meters,6 meters. Other sizes available on request .Deep well construction specifications available on question. Well depths :100 m, 200 m, 350 m & 600 m.
Reduce energy consumption and increase water flow. Reduce erosion of entry surfaces and increase well life. Allow a uniform and efficient well development. Reduce significantly potential pump damage and subsequent maintenance costs. 1. The V-shape section plane of Wedge wire screen pipe (Johnson screens) creates the continuous slot , which can avoid blockage and make sure of the unimpeded water. 2. The consecutive slot of Wedge wire screen pipe (Johnson screens) have wider open area , and it can reduce the speed of the water entering to avoid the sand entering the screen under the great pressure , so it can control sand better , which can increase the water yield and prolong service time of the well. 3. Wire and support rods are all-welded , which makes the Wedge wire screen pipe (Johnson screens) more robust and longer life. 4. 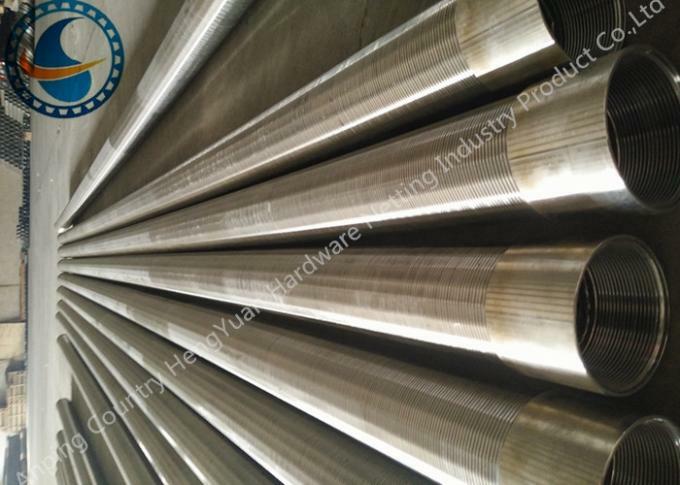 The longitudinal support rods and the continuous slot make the Wedge wire screen pipe (Johnson screens) have more excellent pressure-resistant performance. 5. 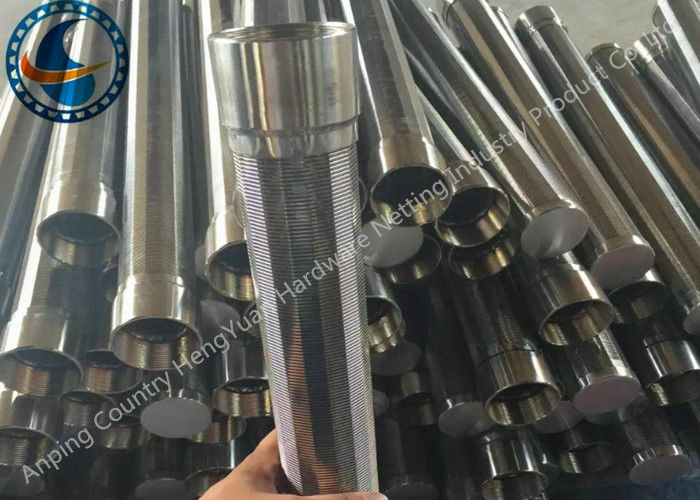 Specifications and end connections of Wedge wire screen pipe (Johnson screens) can be fabricated according to customers’ requirements.